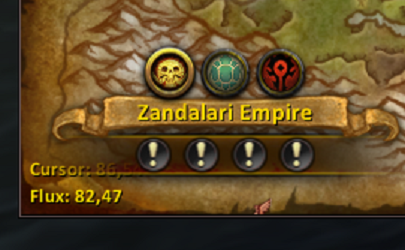 Almost impossible to see Cursor coords, they are hidden behind the Emissary. I have 2 solutions. What if best? Raise frame strata to show above quests. In one line not informative to compare.